Naturewatch Foundation is honoured to sponsor the World Animal Day grant again this year. The annual £5,000 grant seeks to fund two to five non-emergency projects being undertaken by World Animal Day Ambassadors around the globe. 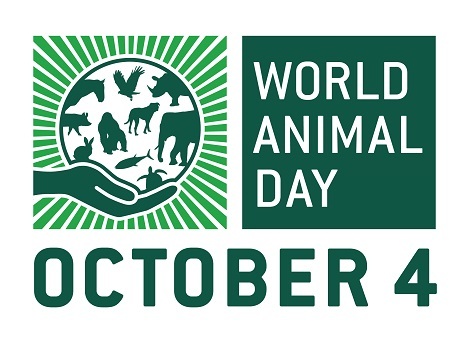 The winning projects are those that it’s believed will have the best potential to make a significant and lasting, positive impact upon the welfare of animals; are in the spirit of World Animal Day and will help the movement achieve its Mission to raise the status of animals around the globe. The main winner of last year’s grant was the Jakarta Animal Aid Network to build two forest rehabilitation enclosures in southern Sumatra to rehabilitate confiscated sun bear cubs before releasing them back to the wild. The World Animal Day movement currently has more than 90 Ambassadors working in more than 70 countries around the world raising awareness of, and encouraging participation in, the celebration of World Animal Day on 4 October. Sign Up and Get involved to show you care about animals. Each one of us can make a difference - together we make change!